At London Apartment Reservations, we take great care of ensuring the safety of our clients. With us, you can book your dream apartment for vacation without worrying about unsafe transactions or the misuse of any personal information provided. All your credit card information will be shared over an encrypted and secure server. 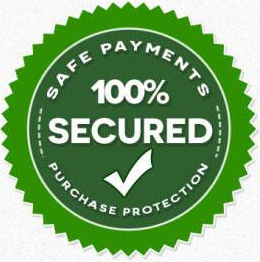 According to the credit card purchase protection regulations, we ensure 100% money back guarantee. This guarantee remains solid even after our company stops trading. We follow the UK Consumer Credit Act and the European Consumer Credit Directive. This ensures that credit card companies will refund in case of not providing the services purchased. To ensure the effective implementation of this act, we have a credit card processor supported by a large rolling reserve of our money. If for any reason the company fails to offer the apartment you booked and is not around to handle the claim, the clients will be able to claim their refund through the credit card.